Guitarist Chris Caffery (SAVATAGE, TRANS-SIBERIAN ORCHESTRA) recently spoke with Kara Uhrlen of "The Pure Rock Shop" — a program on the Washington, Pennsylvania radio station 91.7 FM WNJR — about SPIRITS OF FIRE, his new band with Tim "Ripper" Owens (JUDAS PRIEST, DIO DISCIPLES), Steve DiGiorgio (TESTAMENT, DEATH) and Mark Zonder (FATES WARNING, WARLORD). The full conversation can be streamed at this location. A few excerpts follow (as transcribed by BLABBERMOUTH.NET). Chris: "I've known Ripper for a very long time. I actually met him on... I think it was 'The Wake Of Magellan' press tour. Me and Johnny Lee [Middleton, SAVATAGE bassist] were in Europe at a convention in Cologne, and I met Ripper when he was doing his press for the very first [JUDAS] PRIEST thing that he had done. I got to say hi to him, and we just became friends throughout the years. I went to see PRIEST all the time, but then we eventually wound up opening for PRIEST with SAVATAGE, and then I wound up playing on one of Ripper's solo records and doing a tour with him. We've just been really close friends for a long time, and he's one of those guys I always wanted to do an album with. Frontiers [Music Srl], oddly enough, made a call to me going, 'Hey, would you want to do a record with Ripper? ', because I guess they just thought that in their minds, that would be a really good combination. It just happened to be one of the things that I really wanted to do, and he was one of my really good friends, so the whole thing came together around their call. They had the rhythm section put together, which to me was very exciting, because I'd never worked with either of those two guys, but I was very familiar with their work, and also with [producer] Roy Z, because he had done so many amazing metal records, and he was another person that I never had a chance to work with. Everything just kind of came into place all at once for me to work with these amazing different musicians and be able to do a record with one of my really good friends." Chris: "We didn't have one, and Frontiers was like, 'What do you guys want to call the band?' Nobody really had any ideas. They said, 'Sometimes, we use the name of one of the songs,' so I just read through the songs, and I really didn't see any other names that I thought would be a great band name. I said, 'The only one I really think would work would be SPIRITS OF FIRE,' and everybody seemed to have agreed with that decision. I had written that song, and I actually liked the fact that it was used because the fire spirit happens to be the most powerful of all the 'good' spirits, so when people try to get the 'bad' and 'evil' spirits away, they would eventually call the fire spirits to [help] them get rid of them. That's what I liked about it — it's a positive name, and it's a very cool image, and it's something that happened to be pretty metal, so it worked well as a band name." Chris: "The original idea was to have stuff that was going to be able to be like... the bands that we had played [in]. I wrote probably 14 songs that were my ideas, and eight of them [made it] onto the record. I was just trying to write things that were going to be fun to listen to, that we were going to be able to be liked by the fans, but also that had their own personality. I think that's what I went for the most." Chris: "That's what we would like to do. Obviously, everybody has their moments in the year where they're busy, but we would love to play. That's going to be, I think, pretty much something that's going to be determined by what the fans think about it. If the record gets out there and everybody likes it and wants to see us and the opportunities come, I think that is something we would definitely love to do. I think it would be great with us because we could do a 10-song set that holds six of our songs, but also would be able to have a song from everybody's projects and bands of their pasts in there. I think it would be a fun set and a great band to watch. 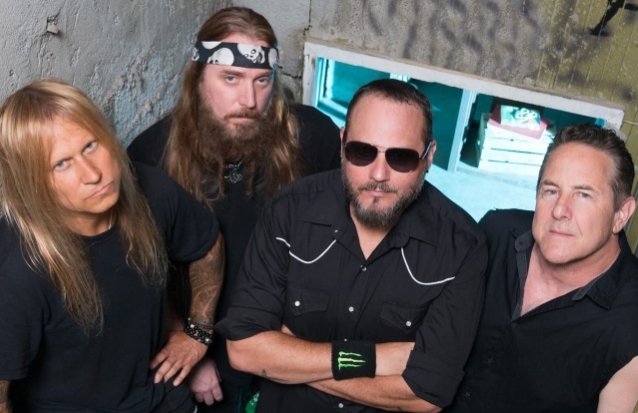 Ripper is a brilliant live vocalist, and everybody else in this band's got a lot of legs and a lot of experience on the road, so I think it would be a very fun band to watch live." Chris: "That's something I believe could happen. That decision will be made by Paul [O'Neill]'s family, and they really loved how everybody reacted to seeing 'Chance'. Our thing with this now is we just want to do whatever we can to keep Paul's legacy alive... There are a lot of songs in the SAVATAGE catalog that have that TSO theatrical and musical emotion and level to them, because they were written by Paul and Jon [Oliva]... That stuff can wind up, I'd imagine, anywhere at any time. It's just going to be what everybody decides to be the ones they want to have in the set." 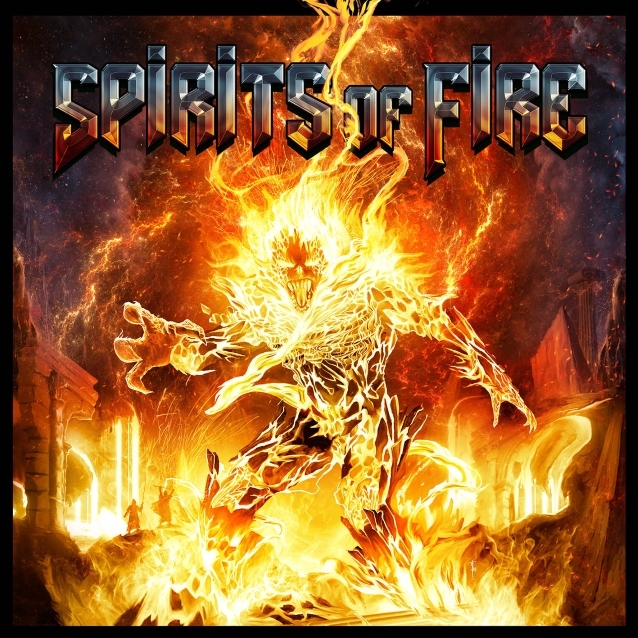 SPIRITS OF FIRE's self-titled debut album — produced by Roy Z (HALFORD, BRUCE DICKINSON) — will be released on February 22 via Frontiers Music Srl.